Buchenwald concentration camp, Weimar, 27 June 2004 8. Here are four memorials. 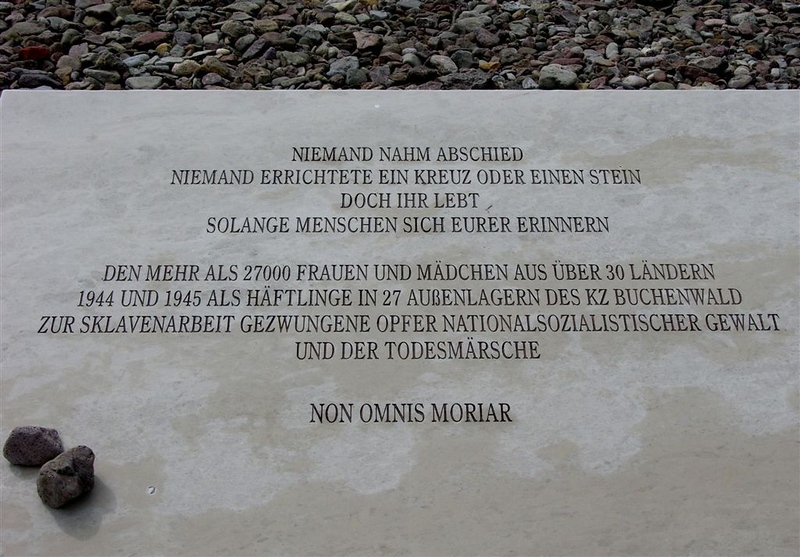 This one commemorates more than 27,000 women and girls from more than 30 countries held as slave labourers in Buchenwald and its 27 satellite camps in 1944-45.